A unique and colourful development in non slip timber decking. Need help deciding which non slip decking profile is right for your project? Our anti slip decking is stylish and safe. From riverside decking in Canary Wharf to a rainforest canopy at the Eden Project, Gripsure is the safest non slip decking board available. We are also passionate about delivering the best customer service. Don’t just take our word for it, read what Gripsure customers say about us on our feedback page. Composite decking gives “poor performance” – TDCA. Find out more about why you should use timber here. 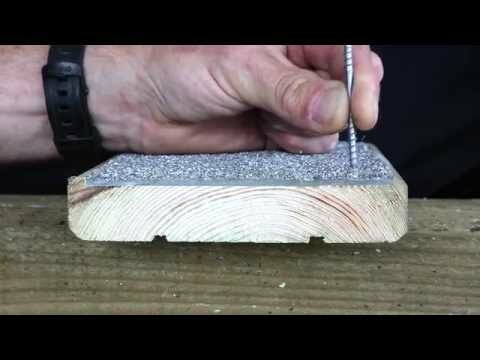 Our videos will help you get to grips with the basics of choosing and laying decking, even if you’ve never done it before. 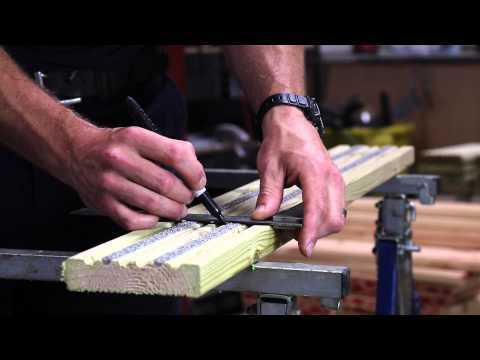 You can also visit our Youtube channel for more helpful decking videos. If you’re considering non slip decking for your garden, you’re probably looking for a product that’s safe, attractive and proven to last. 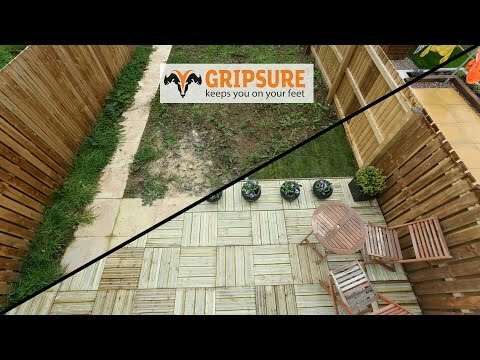 Gripsure provides beautiful all year round anti slip decking in a range of hardwood and softwood options. Durable, low maintenance and versatile, Gripsure is the perfect choice for homeowners. There’s a reason why thousands of meters of our non slip decking boards can be found up and down the country. With a wide product range, the highest non slip rating and long lasting performance, our decking is the professional’s choice for commercial projects and residential developments.